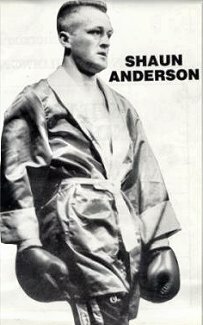 Maybole resident Shaun Anderson was a professional boxer for ten years until 2002. 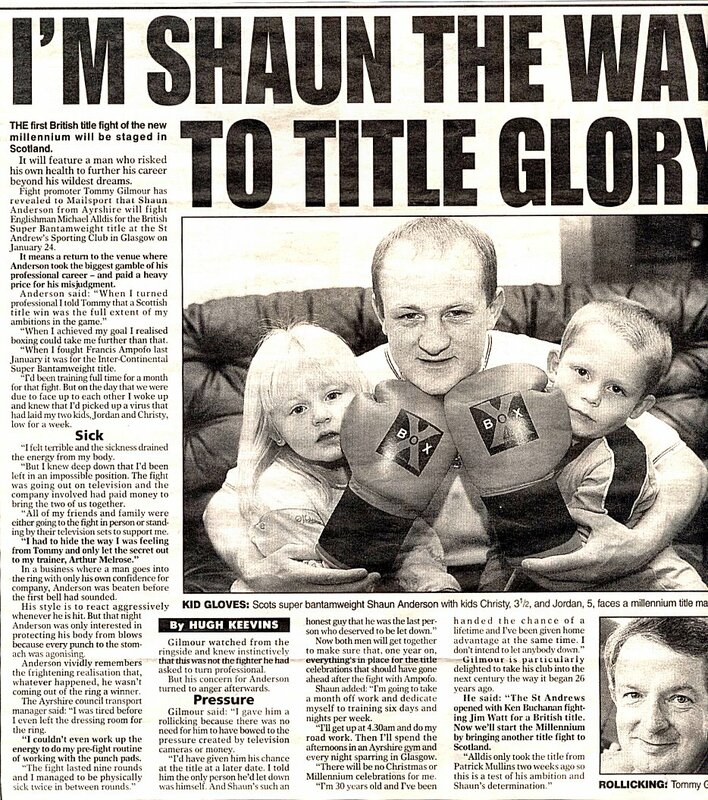 Shaun fought for 4 titles and was rated 4th in the British ratings for a long while. 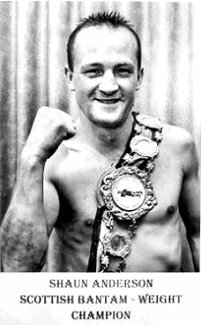 On his web site you will find more photos of his title belt and medals from the Scottish Boxing Hall of Fame. 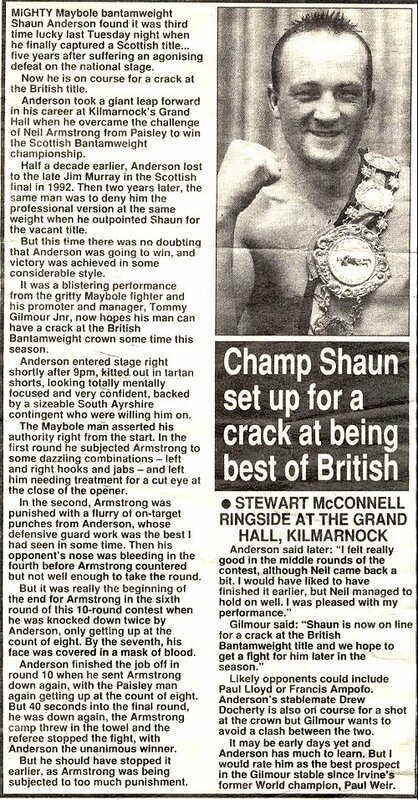 Shaun was awarded a Scroll of Appreciation in a ceremony in 1999 in Maybole Town Hall in appreciation for the recognition he has brought to the town of Maybole through his boxing career. 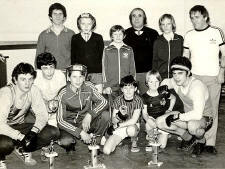 I started boxing at twelve with the Maybole club under William Docherty. 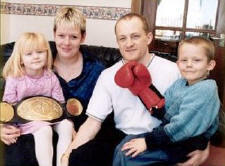 ("wee doc" to everyone that knew him) . Then he packed it in after a few years and I had to as well. I had to wait until I could drive before I could take it up again and that was when I was eighteen. 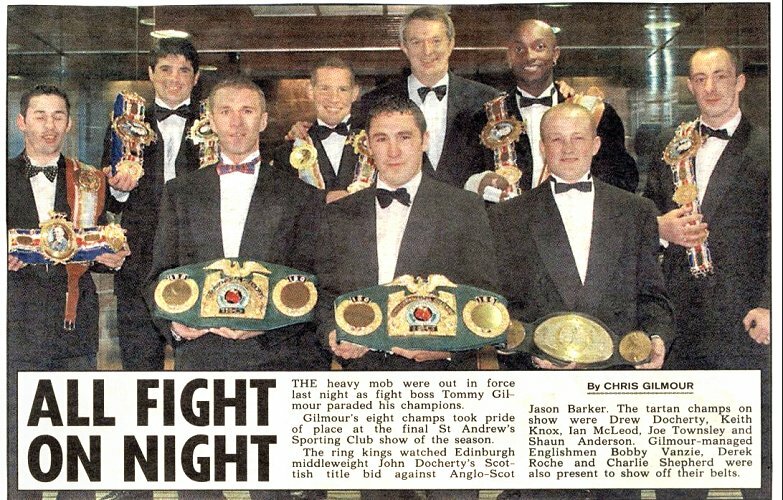 At the age of 18 I started training at Maharg Boxing Gym in Glasgow. 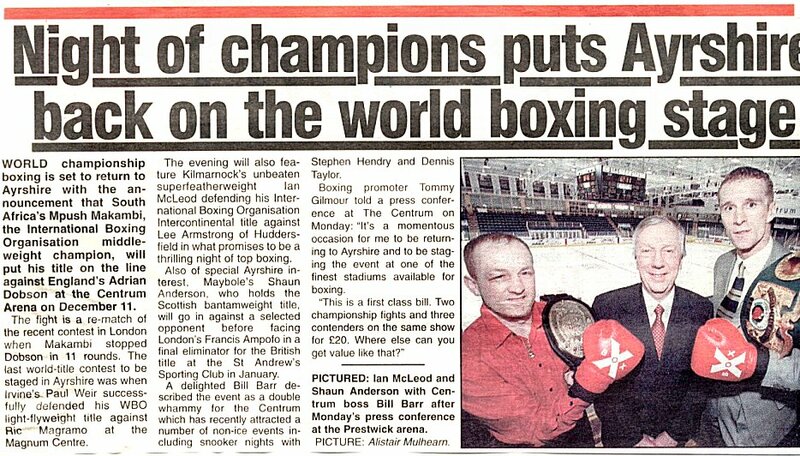 My trainer Arthur Melrose was with me till I retired at the age of 32yrs old. I'm married to Deborah and we have two kids, Jordan 9yrs and Christy 8yrs. 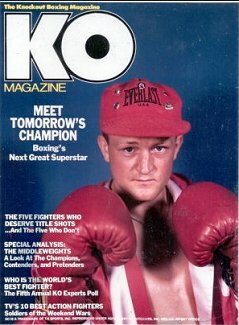 Although I've retired from boxing now, I still work out and run my own gym, so not a soft lad yet;-)))) I still also help Arthur Melrose, my pro boxing ex trainer to train his fighters at the gym I trained at for most of my Pro Fights.